Please note: All wovens may fit narrow to start. 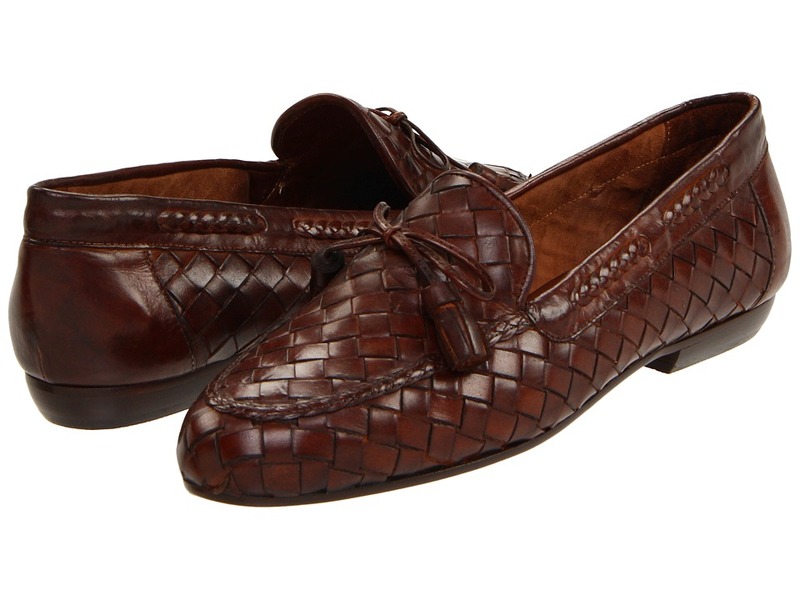 The Neda loafer from Sesto Meucci has a contemporary design for a variety of occasions. Leather upper with woven design and moc-toe detail for a sophisticated appeal. 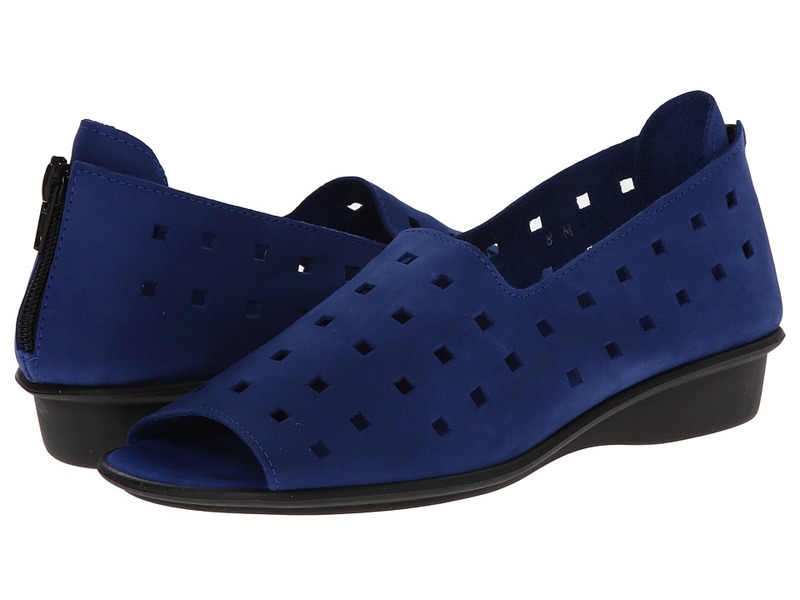 Slip-on silhouette allows you to slide into comfort with this stylish loafer. Soft leather lining and footbed cushions every step providing all day comfort. Durable leather outsole delivers grip to maintain your confident stride. Made in Italy. Measurements: Heel Height: 1 2 in Weight: 7 oz Product measurements were taken using size 8, width M (B). Please note that measurements may vary by size. Weight of footwear is based on single item, not the pair. For those who wear half sizes, Sesto Meucci advises sizing down. You~ll instantly add a dash of sleek sophistication to every look you choose with the Evonne. Premium leather upper features stylish perforations. Slip-on design for easy on and off. Unlined for a light, flexible feel. Full-length cushioned footbed with a leather cover. Durable synthetic outsole. Made in Italy. Measurements: Heel Height: 1 in Weight: 8 oz Product measurements were taken using size 8, width M (B). Please note that measurements may vary by size. Weight of footwear is based on a single item, not a pair. 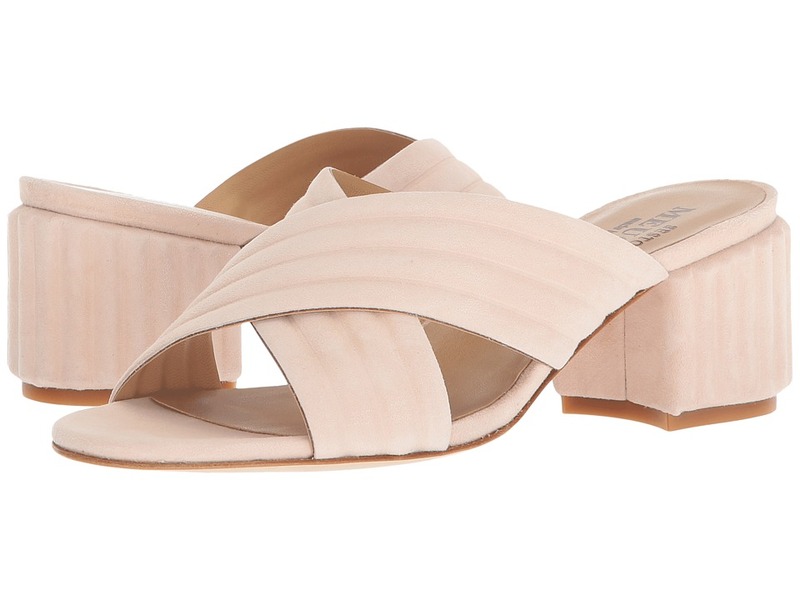 Embrace the Eirlys sandal for a unique summer style. 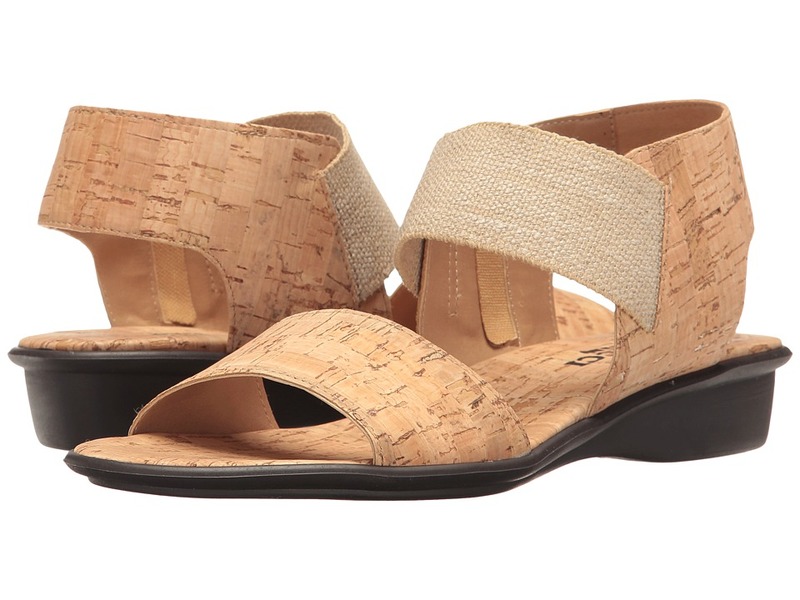 Leather or natural cork upper with an open toe. Elastic band at ankle with a medial side zipper. Smooth synthetic linings. Lightly cushioned footbed for added support. Durable and flexible rubber outsole. Imported. Measurements: Heel Height: 1 1 2 in Weight: 8 oz Product measurements were taken using size 9, width N (AA). Please note that measurements may vary by size. Weight of footwear is based on a single item, not a pair. 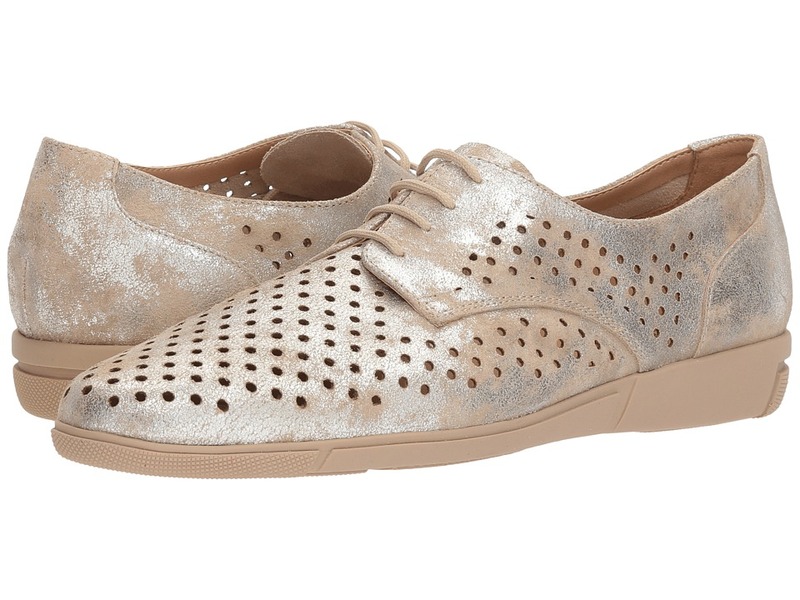 Find your footing in the fashion world with the fab Florel flat. 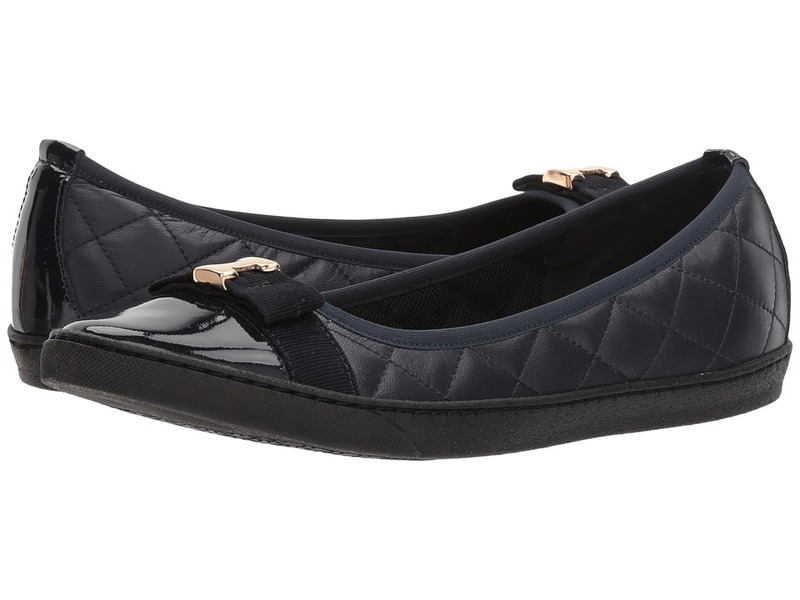 Quilted leather uppers with a patent toe, grosgrain strap, and decorative bow. Easy slip-on style. Soft textile linings. Lightly cushioned footbed. Flexible rubber outsole. Imported. Measurements: Weight: 7 oz Product measurements were taken using size 7.5, width M (B). Please note that measurements may vary by size. Weight of footwear is based on a single item, not a pair. 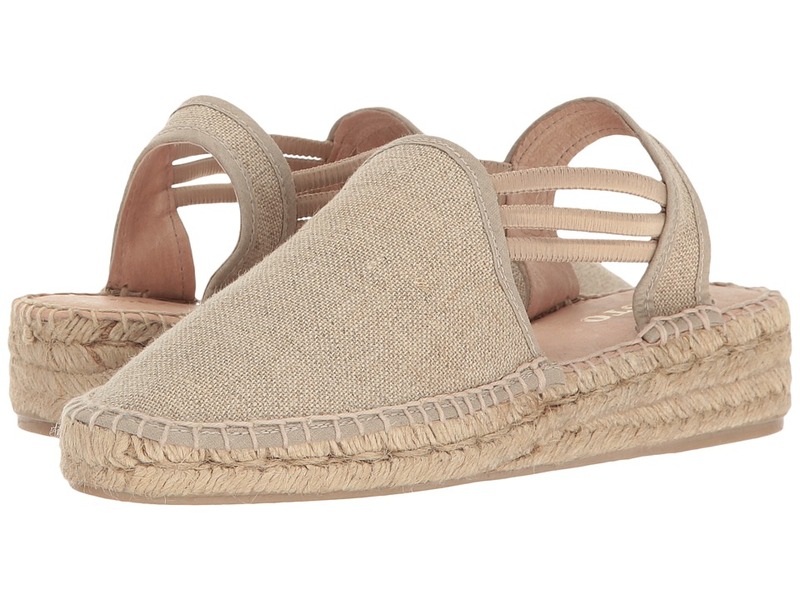 Get the perfect spring style with this cute Sesto Meucci espadrille. Durable canvas upper with a round toe. Elastic bands at instep with a slingback strap. Textile linings. Lightly cushioned footbed for added comfort. Jute-wrapped midsole. Durable rubber outsole. Imported. Measurements: Heel Height: 1 1 2 in Weight: 10 oz Platform Height: 1 in Product measurements were taken using size 9, width M (B). Please note that measurements may vary by size. Weight of footwear is based on a single item, not a pair. Stay fresh all day long with the Dirce lace-up from Sesto Meucci. This style runs a bit large. Sesto Meucci recommends ordering a half (1/2) size down from your regular size. Leather upper features circular cutouts and a round toe. Lace-up adjustability. Breathable leather linings. Lightly cushioned leather-covered footbed for added support. Light and durable synthetic outsole. Made in Italy. Measurements: Weight: 8 oz Product measurements were taken using size 7.5, width M (B). Please note that measurements may vary by size. Weight of footwear is based on a single item, not a pair. Head out in a dash with ease in the dependable and stylish Diva from Sesto Meucci. Nubuck leather upper features circular cutouts and a round toe. Elasticized topline for an easy fit. Offers a rear tongue with zipper closure. Soft microfiber linings. Lightly cushioned and contoured footbed for added support. Durable rubber outsole. Imported. Measurements: Heel Height: 1 in Weight: 8 oz Product measurements were taken using size 7.5, width W (C). Please note that measurements may vary by size. Weight of footwear is based on a single item, not a pair. Make a bold and stylish statement when you strut in the Gabbey mule by Sesto Meucci! 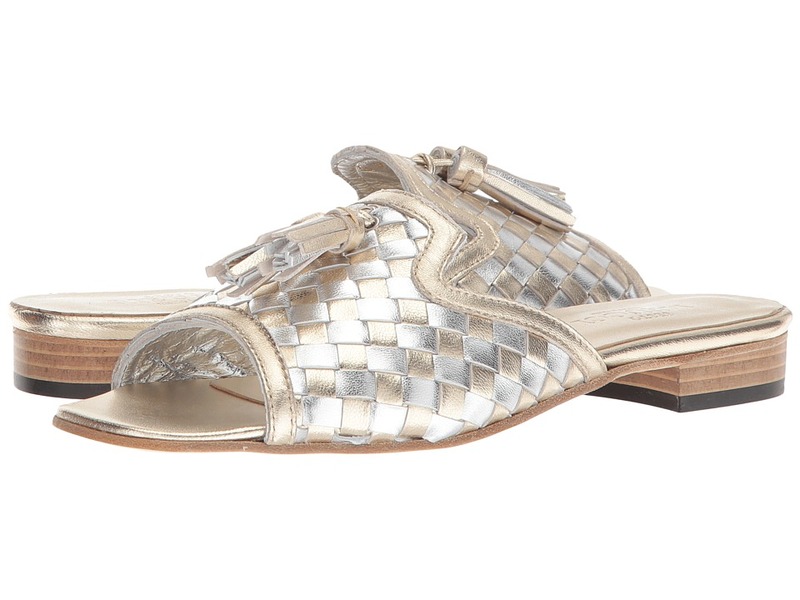 Woven-leather upper provides excellent air ventilation, keeping feet cool and dry. Leather tassels adorn the upper. Open-toe styling with stacked-heel design. Lightly padded leather insole delivers soft cushioning and support. Sesto Meucci logo is embossed within the insole and outsole. Supple leather lining ensures a comfortable and breathable wear. Leather outsole construction delivers fleixble range of motion. Imported. Measurements: Heel Height: 1 in Weight: 7 oz Product measurements were taken using size 8, width M (B). Please note that measurements may vary by size. Weight of footwear is based on a single item, not a pair. Elegance is undeniable in the Sesto Meucci Malaga heels. Rich suede upper. Crisscrossed straps across the vamp. Easy slip-on wear. Open-toe silhouette. Leather lining. Lightly padded leather footbed with embossed logo. Wrapped, chunky heel. Leather outsole. Made in Italy. Measurements: Heel Height: 2 in Weight: 8 oz Product measurements were taken using size 7.5, width M (B). Please note that measurements may vary by size. Weight of footwear is based on a single item, not a pair.